Home sales were generally lower in the US Virgin Islands during 2017. Yet housing markets in St. Croix and St. Thomas performed fairly well, while in contrast St. John's suffered, both in terms of prices and sales. In St. John, where most luxury residential properties can be found, the average home sales price plunged by 26.7% y-o-y in 2017, to approximately US$ 763,477, according to Islandia Real Estate. This follows a 3.1% price decline in 2016, and a modest price rise of 3.4% in 2015. Part of the decline was attributed to the devastation brought by the Hurricanes Maria and Irma to properties in the area. On the other hand, the average condominium sales price in St. John continued to skyrocket, rising by 53.7% y-o-y to US$ 875,000 in 2017, following the previous year's price rise of 56.8%. In St. Croix, the largest of the U.S. Virgin Islands, the average home sales price rose by 14.3% y-o-y to US$ 402,500 in 2017, after a 12.7% drop in 2016, and annual price rises of 21.2% in 2015, and 4.6% in 2014, according to Re/Max Team San Martin. In contrast, average condominium prices fell by 3% to US$ 183,400 in 2017. In St. Thomas, where the USVI's capital Charlotte Amalie is located, the average home sales price rose by 10.7% in 2017 to US$ 627,000, according to Re/Max Team San Martin. In St. Thomas/St. John, private residential permits value sharply rose by 42.6% to US$ 29.8 million. In St. Croix, the value of private residential permits rose by only 1% to US$ 11.4 million. Prices have fallen significantly over 4 years - now for the rebound? St. John remains the US Virgin Islands’ most expensive island, even though square metre prices of houses have fallen. Four years ago (in 2011), house prices ranged from around US$5,300 to US$8,400 per square metre. Now, the price range is around US$4,500 to US$5,700 per square metre. That’s a significant fall - though we seem to be about to see a turnaround. The same downward trend is observable in St. Croix. In 2011, the average square metre price of houses in St. Croix was around US$3,400. Now, it’s around US$1,800. House prices in St. Thomas have been more stable; but they too have fallen in price from an average price per square metre of a 120 sq. m. condo of US$3,200 in 2011, to US$2,950 now. Unfortunately, data on long-term rentals is too scarce to allow us to estimate rental yields. 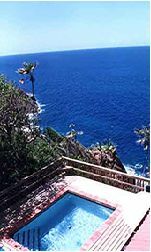 Property transaction costs are reasonable in US Virgin Islands, by the admittedly expensive standards of the Caribbean. Rental Income: Rental income considered “not effectively connected income” is taxed at a flat rate of 10% on the gross amount, withheld by the tenant. Nonresident foreigners electing to consider their rental income as “effectively connected income” are taxed on their net income at progressive rates. Property: Property taxes are imposed at 1.25% of the property’s assessed value. The assessed value of the property is generally 60% property’s fair market value. Capital Gains: Capital gains received by taxpayers within the 10% and 15% tax brackets are taxed at a flat rate of 10% as of 01 January 2011. For all other taxpayers, capital gains are taxed at a flat rate of 20%. Inheritance: Foreigners and non-permanent residents of the United States are not subject to inheritance taxes in the US Virgin Islands. Residents: US citizens and US permanent residents living in the islands are taxed on their worldwide income. Roundtrip transaction costs range from 10% to 14.6% of property value. The transfer tax ranges from 2% to 3.5% depending upon property value. The real estate agent's fee, at around 6%, accounts for the greater part of the costs. Legal fees are at 1% to 2%. Rent Control: Rents in the US Virgin Islands are frozen at their 1947 level be the Rent Control Act. For existing housing accommodations prior to July 1947, the maximum rent ceiling is the rent imposed on July 1947. For properties built afterward, the maximum rent allowed is the initial rent charged for the property. Tenant Security: For reasons other than rent default, the landlord must give the tenant a month’s notice of termination and must apply for a court approval prior to evicting the tenant. If the landlord is given the right to repossess the property, the tenant can delay the eviction for up to six months to give him ample time to look for alternative housing. The US Virgin Islands is composed of three main islands: St. Croix, St. John, and St. Thomas. The archipelago is an unincorporated US territory. Most federal laws apply, though customs policies differ. Island belongers are considered American citizens and enjoy all the benefits and rights of this status. They are represented in the US House of Representatives, but not in the Senate, and are not allowed to participate in US presidential elections. But the Island government acts with relative autonomy. St. Croix is the southernmost and the largest of the three islands. It has many isolated beaches, dense forests, and fertile lowlands. It used to be one of the region’s wealthiest islands, with a multitude of sugar plantations and a successful slave trade. Colonial ruins lie amidst the beautiful scenery. St. John, on the other hand, is the smallest and most serene. Two-thirds of the island is a protected National Park that is a favored tourist destination. There are about 40 beaches to relax in and numerous water sports to enjoy. St Thomas is the most developed of the US Virgin Islands. St Thomas’ capital, Charlotte Amalie, is the commercial center of the territory. Every year, more than a million cruise passengers alight in the harbor to tour the towns and indulge in duty-free shopping. Tourism is the US Virgin Islands’ main industry, generating 2 million visitors every year, and accounting for 80% of GDP. In 2017, the total number of stay-over visitor arrivals in the territory fell by 24.5% y-o-y to 1.94 million people, according to USVI Bureau of Economic Research, as a result of a huge declines in cruise ship passengers by 26.6% and air passengers by 20.1%. Many of the territory's resorts were hit by hurricanes Irma and Maria during the second half of the year. GDP figures for 2017 are still unavailable. While the economy already seems to be picking up, it is still facing uncertainty, considering the impact of the hurricanes on tourism. In 2016 USVI's economy grew by 0.9%, after posting 0.3% growth in 2015, according to the U.S. Bureau of Economic Analysis. The past decade has not been kind to the USVI. USVI’s GDP dipped 6.6% in 2009. After a short-lived recovery in 2010 (GDP up 0.9%), GDP plunged again by 8.2% in 2011, and then fell by a huge 15% in 2012, by 5.8% in 2013, and by 1% in 2014, mainly because of the closure of the HOVENSA refinery in 2012, which caused the layoff of around 1,200 employees. In July 2018, the overall unemployment rate in the U.S. Virgin Islands stood at 9.2%, slightly down from 10% in the previous year, according to the USVI Bureau of Economic Research. In St. Croix, the jobless rate fell to 8.9% from 11.3% over the same period. In contrast, in St. Thomas/St. John, the jobless rate slightly rose to 9.4%, from 9.1%.